In a bid to tackle the huge traffic congestion along the Ubeji/Ifie Road in Warri, chairman of Warri South Local Government Area, Hon. Michael Tidi on Tuesday April 10, inaugurated a 10-man taskforce on Road Traffic Decongestion in the busy route. Hon. Tidi stressed that the committee which has Ete Omatsuli as chairman and Kingsley Tonukarin as Secretary, should ensure law and order as well as clear all broken down vehicles, lorries and trucks along the Ubeji / Ifie Road. 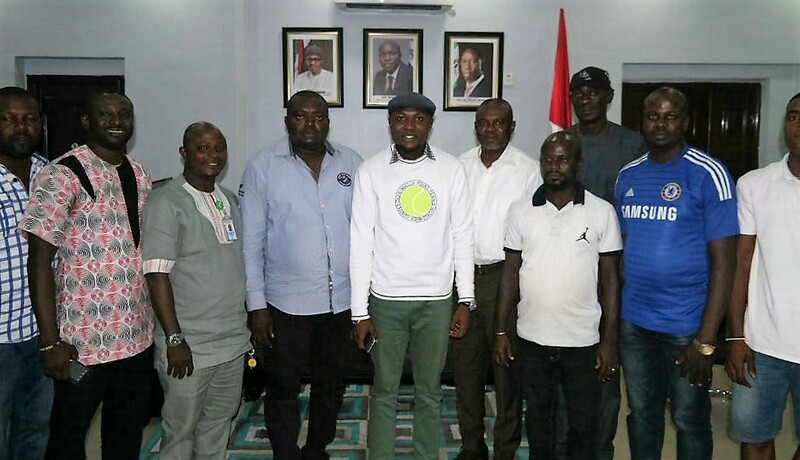 While noting that the council shall dissolve the committee if its services are no longer desirable, the Warri South Council Boss directed Secretary to the Local Government, Mr. Oribioye Uwale to communicate the inauguration of the taskforce to relevant security agencies with a view to ensuring workable synergy. Chairman of the taskforce, Mr. Ete Omatsuli assured that they will deliver on their mandate with the support of authorities of Warri South Council and appealed to Hon. Tidi to notify Depot Chairmen in the area of the mandate given to them. The Shaguolo/ Ubeji axis of Warri South and Uvwie Local Government Areas usually have huge traffic congestion as a result of operations of WRPC and Depots situated at Ifie.